Around a hundred delegates met in London from November 9 – 10, 2018 for the Tenth SOAS Qur’ān Conference. The conference theme was “Text, Translation and Culture” and featured presentations in both English and Arabic. The conference began with an opening address by Professor Abdel Haleem, who first established the conference. The first morning featured two panels on qur’ānic rhetoric, which included papers by Adam Flowers (Chicago), on The qur’ānic Exhortation, Salwa El-Awa (Swansea), on Discourse Markers as Indicators of Text and Structure in the Multiple-topic qur’ānic Suras: A Meta-analysis of Q. 2, Thomas Hoffmann (Copenhagen), on A Qur’anic Self-Deconstruction? Q. 20:113 and Mamoon Abdelhalim Wagih (Fayoum University), on ‘أثر النحو العربي في خدمة النص القرآني’ (The Role of Arabic Grammar in Understanding and Interpreting the qur’ānic Text). After coffee, Rachel Claire Dryden (Cambridge) discussed The Typology of Rain and Other Weather-Related Phenomena in the Qur’ān, Johanne Louise Christiansen (Copenhagen) examined How to be Deliberately Vague: On the Rhetorical Strategy of Vagueness in the Qurʾān and Ulrika Mårtensson (Norwegian University of Science and Technology) analysed Between mustaqīm and mukhliṣ: ‘Covenant’ as a Linguistic and Rhetorical Analysis of the Canon’s Composition and Key Concepts. The first morning’s session concluded with a presentation by Professor Haleem himself on Sūrat al-Mulk, Q 67: Reading the Qur’an According to its balāgha: ‘ḥaqqa tilāwatihi’. In the afternoon, a panel on qur’ānic reception featured Mirina Paananen (Oxford), who discussed Taghannī or not taghannī? Ibn al-Jazarī on the Musical Recitation of the Qurʾān, Suleyman Dost(Brandeis), who examined The Rise and Fall of a Genre: The maṣāḥif Books in Context. Under the broader theme of qur’ānic theology, Livnat Holtzman (Bar-Ilan University), presented on The Rhetorical Aspect of āyāt al-ṣifāṭ: The Ashʿarite Prohibition of Gestures and the Ultra-Traditionalistic Response (12th–14th Centuries), Oliver Leaman (Kentucky), asked Is the Ethics of the Qur’an Utilitarian? and Ramon Harvey (Ebrahim College), discussed Al-Māturīdī on Abrogation of the sharīʿa in the Qur’an and Previous Scriptures. Day two of the conference continued with presentations on contemporary approaches to the Qur’ān by Todd Lawson (Toronto), who spoke about The Qur’an and the Shaykhiyya, Walid Saleh (Toronto), who discussed The Encyclopaedia of Tradition-based Qur’an Commentary and Sohaib Saeed (Glasgow), who examined Qurʾān Citations in Qurʾān Exegeses: A Case Study of Sūrat al-Anʿām (Q. 6) and a panel on tafsir, which included presentations by Ahmad Al-Dubayan (ICCUK), ‘نقد منهج المعالجة اللغوية لدى محمد شحرور’ (Linguistic Methodology of Muhammad Shahrur), and Ahmed Bouaoud (Université Abdelmalek Essaadi), ‘القرآن والتاريخ بحث في أطروحة أنجليكا نويفيرت حول تاريخ النص القرآني’ (Qur’ān and History: Angelika Neuwirth’s Thesis on the History of the Qur’anic Text). The afternoon sessions focused on different aspects of qur’ānic translation: Nàdia Petrus Pons (Autonomous University of Barcelona) discussed the Transmission and Survival of Mark of Toledo’s Latin Qur’an translation, Nora S Eggen (Oslo), analysed Modality in translations of the Qur’ān and Shawkat M. Toorawa (Yale), examined Ḥaqqa tilāwatihi—Doing the Qur’an justice in English translation. The theme of qur’ānic translation continued with presentations on The Qur’ān in Non-Western Languages such as that by Johanna Pink (Freiburg), on Joseph and the Tiger, Mary and the Angel: What we can learn from Javanese Qur’an Translation, M. Brett Wilson (CEU/Macalester College), on The Poet of Islam’s Translation of the Qur’an and Philipp Bruckmayr (Vienna), which was entitled From Manuscripts to Printed Editions: The Translation of the Qurʼān into Indochinese Languages. The conference concluded with some closing remarks by Professor Abdel Haleem. Many thanks to the SOAS Qur’ān conference team for organizing such a successful conference. © International Qur’anic Studies Association, 2019. All rights reserved. 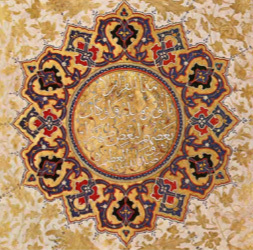 Proposals are invited for the Ninth SOAS Conference on the Qur’an: “The Qur’an: Text, Society And Culture,” to be held on 11-13 February 2016. The conference series, hosted by SOAS, University of London, seeks to address a basic question: How is the Qur’anic text read and interpreted? The goal is to encompass a global vision of current research trends, and to stimulate discussion, debate, and research on all aspects of the Qur’anic text and its interpretation and translation. While the conference will remain committed to the textual study of the Qur’an and the religious, intellectual, and artistic activity that developed around it and drew on it, contributions on all topics relevant to Qur’anic studies are welcomed. Attention will also be given to literary, cultural, politico-sociological, and anthropological studies relating to the Qur’an. The primary conference language is English, but papers may be presented in English or Arabic. Further information on the conference series is available on the SOAS Centre of Islamic Studies site HERE. The submission deadline for abstracts is 24 August 2015. * Text adopted from the official CFP available on the SOAS website. © International Qur’anic Studies Association, 2015. All rights reserved.